Giving back to the community is something many companies do, but how many businesses serve their local citizens every week? And how many have been doing that for more than four years? 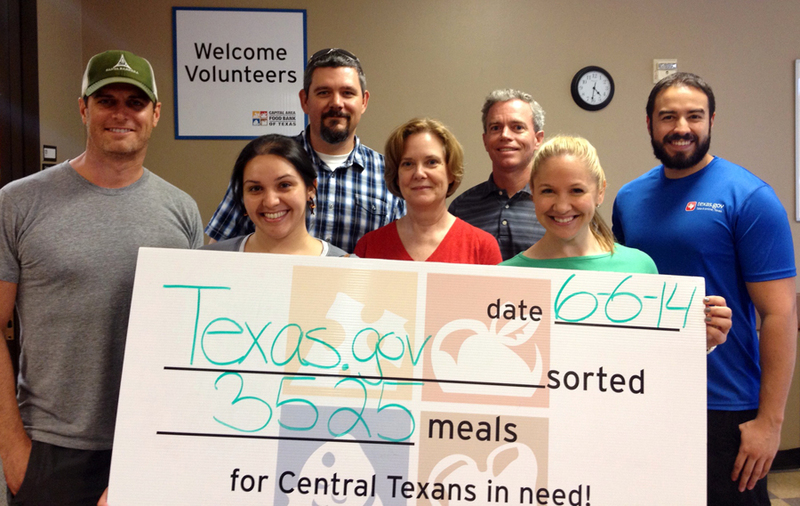 The Lone Star State has at least one business with such a strong devotion to giving back, Texas NICUSA. The private company operates Texas.gov, the state’s official website. Beyond overseeing the site, Texas NICUSA’s 100+ professionals take a more active role in the Austin area, helping all sorts of organizations from Austin Children’s Shelter to Meals on Wheels and Capital Area Food Bank of Texas. To find out more about how the company fosters a culture of service and how it decides which organizations to help, we chatted with Lisa Carrell, senior marketing associate with Texas NICUSA. Four years of weekly commitment to the Meal on Wheels and More (MOWAM) program is dedication from your team. Is there a particular reason or person that prompted such a large, continual investment in the program? This community service project was initiated back in August 2005 by the company that formerly held the contract for managing the State of Texas website. So some of the participants have actually been delivering meals for 9 years! One of those employees shared that since the MOWAM headquarters was so close to downtown Austin, where our offices are located, it made it easy to participate in their meal delivery program. There is a strong dedication to this program by all those who participate. Even when there is staff turnover and there is a “hole” in our distribution team, staff who are already delivering for other routes step up to fill in those holes or new staff members jump in to continue this beloved tradition. Why did you decide to expand your participation with the MOWAM program and help with the Healthy Options Program for the Elderly (HOPE)? We were motivated to expand our participation with MOWAM for a couple of reasons. One had to do with how rewarding it has been to deliver meals for MOWAM and how easy they make it for us to serve our community in this way. They are a great organization to work with, so we were happy to find out they had other volunteer opportunities in which we could participate as a group. The HOPE program offered us an opportunity to have a larger group work together for this wonderful organization, making it almost like a team building exercise. When we deliver meals, we have the same partner every time so this gave us the chance to work in partnership with other staff members to accomplish a goal and have fun doing so. Your company is involved in a variety of community initiatives. Is there a certain process for figuring out what you’ll contribute to next? Yes, we do have a process for selecting community service projects. We have a community involvement committee that annually selects and plans our community service projects for the coming year. In the past, we have provided surveys to solicit input throughout the organization. Texas NICUSA staff then had an opportunity to vote on the projects we chose for the year, thus providing a sense of “ownership” to our participating staff. We try to select a variety of projects that touch different segments of our society. With our MOWAM and Family Eldercare Fan Drive initiatives, we touch the elderly and home-bound populations. With our Animal Center service projects, we get to help out animals that have been abandoned, neglected, abused or lost, and our work with the Austin Children’s Shelters connects us with children who have also been neglected or abused. We have participated in a variety of cancer research fundraisers in the past to support friends and families who have been affected by this pervasive disease. 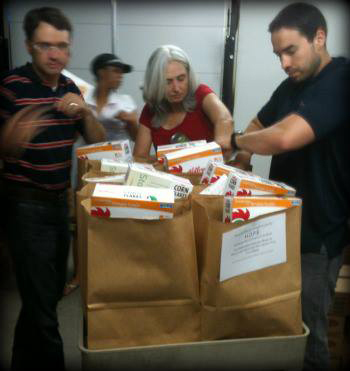 We also try to get 100% staff participation in our community service program. For some, that may mean simply donating money to our various causes, but for many it involves hands-on participation and financial support. How does your parent company foster and create a culture focused on giving back? At NIC, community service is taken seriously because the company believes that serving as a government contractor requires more than just a commitment to doing good work for our partners. Across the country, NIC employees donate their time, talent and money to dozens of important causes, including fighting breast cancer, driving higher literacy rates, encouraging pet adoption, building high-quality housing for the homeless, and supporting the families of police officers killed in the line of duty. NIC’s Citizen & Team of the Year programs encourage hands-on participation in community service and recognize the outstanding volunteer efforts of employees. Through this program, individuals and NIC office teams who donate their time to community organizations each year are eligible for recognition. Have you donated your services to a nonprofit or do you know someone that has? The Communitas Awards – which recognizes exceptional businesses, organizations and individuals for excellence in community service and corporate social responsibility – is now accepting nominations.